Here it is. 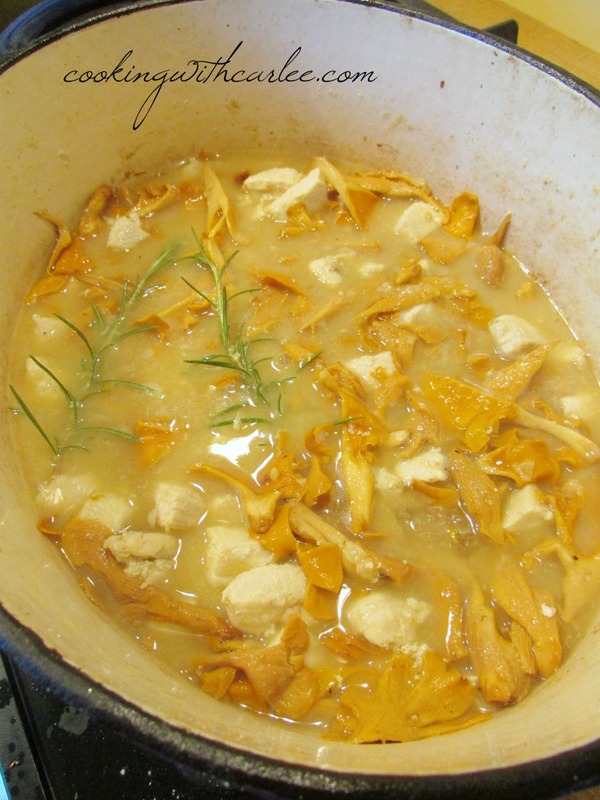 My final chanterelle recipe of the season. Hopefully I'll be back with more next year! I think I am hooked, so let's hope they return again! We had fun harvesting these golden beauties with my father-in-law. You cut them rather than pull them because they grow from roots and not spored. So we got our scissors, grabbed some bags and went off on a bumpy ride to the yellow brick road! My father-in-law said the first patch he saw really was like the yellow brick road, they were so thick. This year they were spread out a big more, but once we got to the sweet spot you had to watch your step to not step on one to cut another. They try to only harvest half of the mushrooms in any given spot to maximize the chance of getting mushrooms again. This was a delicious way to enjoy some of our harvest. It had a great flavor and just enough cream to make it decadent and luscious and not so much to make it heavy. I could have this mixture over rice, noodles or even toast on a regular basis with no complaints! 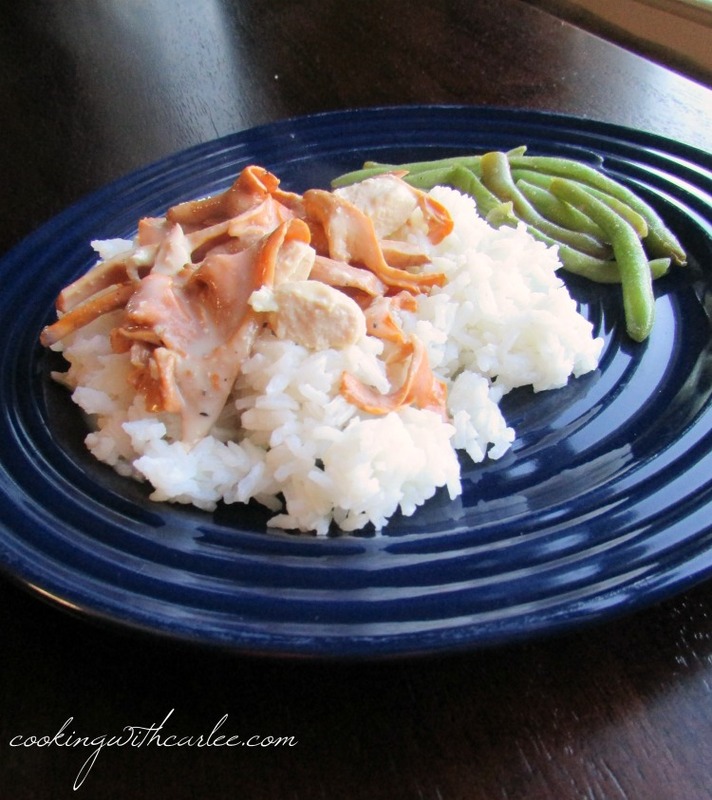 Cut chicken into bite sized pieces. Roughly chop mushrooms and keep separate. Heat oil in a large saucepan or dutch oven over medium-high heat. 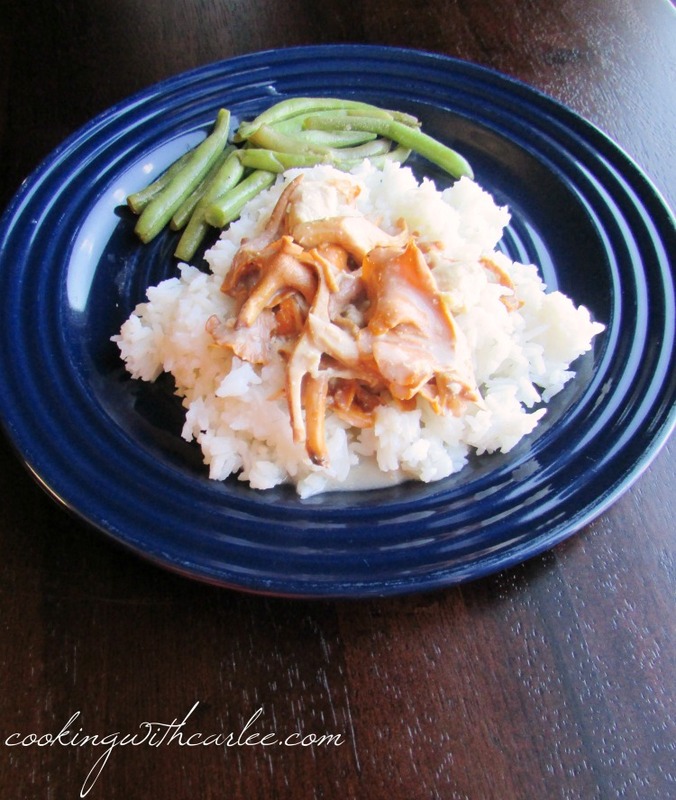 Brown chicken. It doesn't need to be cooked through, just give it some color. Remove chicken from pan. Drop heat to medium and add mushrooms to hot pan and quickly brown. Return chicken to the pan. Sprinkle with flour, salt and pepper. Cook over medium for a couple of minutes, stirring frequently. Add wine to pan, stirring and scraping up any bits from the bottom of the pan. Stir in stock and add the whole sprigs of rosemary. Simmer for 15 minutes, stirring occasionally. Remove from heat and take out the rosemary sprigs. Stir in cream and adjust your salt and pepper. This sounds delicious! Do chanterelles grow wild or do you have to plant them? What a warming dish! Yummy! Isn't that lucky? I am glad that he did the research to figure out what they were (and gave them the first try!) I am not sure I would have thought to do that. They are delicious though and now I'm hooked!